How To Study & Use The PMBOK Guide For The PMP Exam Preparation? 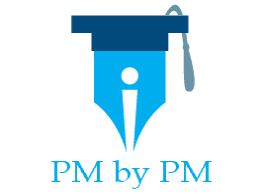 / How To Study & Use The PMBOK Guide For The PMP Exam Preparation? I have written a multi-part post to share the PMP exam prep and study experience of Brad Ferrell. In the first part of this post he talks about the importance of the PMBOK Guide for the PMP exam preparation. He talks about how he used & referred to the PMBOK Guide while preparing to improve his scores in the practice exams. To my pleasant surprise, I recently received the news that after several months of diligent preparation, my hard work had paid off in passing the PMP exam. I had my doubts along the way due to the intimidating PMP boot camp, the under performing pre-exam scores, and the balance to study between work, family, and other personal demands (Admittedly it was difficult to control my will power for going to the gym after work, playing fantasy football, and watching Netflix). So my prep started back in February 2017 when I enrolled in a week long boot camp which counted towards my 35 hours of project management education. Allegedly I was told you should schedule your PMP exam shortly after completing the course, but it seemed as though the instructor was breezing through the course material at warp speed while my brain was trying to keep up. I recall our class covering around a thousand slides in five days! Feeling overwhelmed, I thought no way was I ready to conquer this exam. However, as it’s pertinent in all project management activities, I needed to develop a game plan in studying for the exam. Fortunately, time was on my side in my preparation. My employer offered me a year to take a the exam since they were footing the bill. Not knowing how to plan my strategy for studying, I decided to summarize all the slides that were given to me by hand writing all the important concepts, terms, and processes on notebook paper. At the time, I was making notes on about one knowledge area per week, and after several weeks my notepad was filled from front to back. Looking back at my notes just recently, these were brutal to comprehend and learn off of. How am I going to digest this material? I had received the PMBOK 5th edition, but was overconfident to think my notes and power point slides were enough to take me across the finish line. Not knowing what to do next, I decided to dedicate a month’s worth of taking practice exams that were given to me during my boot camp. This would serve as my baseline to give me an understanding of where I stand score-wise, in addition to know which processes and knowledge areas I need to focus my attention towards. The exams were tough. I believe after taking all of the exams given to me during the boot camp, it was estimated that my average exam score was around 50%. Read the PMBOK 5TH Edition entirely. Go back and review the knowledge areas that are giving me the most trouble in the PMBOK, as well as my notes. Retake any practice exams that I had previous scored low on. How are you preparing for the exam? What is your preparation strategy? Are you using The PMBOK Guide? Do you find it difficult to read? How An Expensive PMP Bootcamp Can Save You Money?